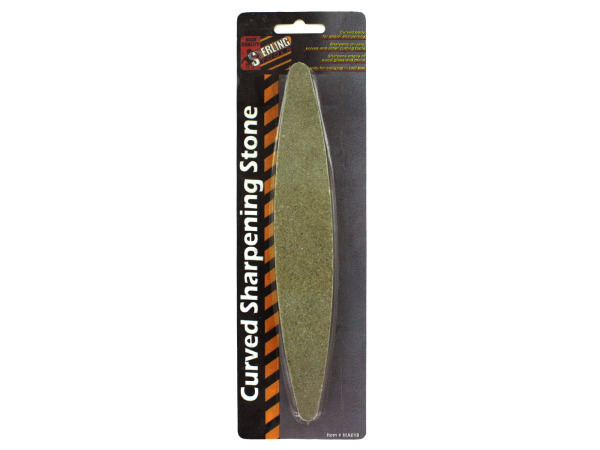 The curved sharpening stone has a curved body for easier sharpening. 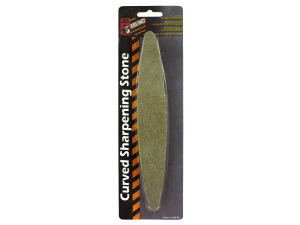 Sharpens knives,chisels and other cutting tools. Sharpens edges of wood glass and metal. Comes packaged in a blister card with hanging hole. Measures 1 1/2" x 9". 25 pcs. 50 pcs. 75 pcs. 100 pcs. 125 pcs.